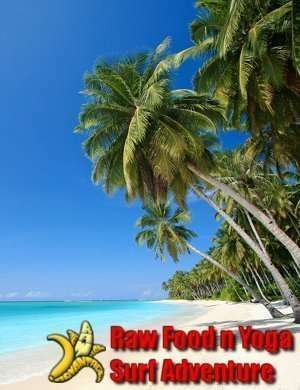 The best of the best simple Hygienic Low Fat Raw Recipes without all of the Salt, Oil, Spices and Raw Junk Food common in many Raw Recipe Books! ** As soon as you complete your purchase, the download link will be on the confirmation page. Would you like to enjoy the benefits of eating more Whole Fresh Ripe Raw Fruits and Vegetables simply because you love to eat them, not just because they are “healthy” or you “feel you should”? How about having a repertoire of quick and easy raw recipes you cant get enough of and are excited to share with those you love? Many of us feel run down, tired, and way too busy to make good food choices. We live in fast paced society, who wants another book of complex recipes that require hours of prep time, expensive equipment, and leaves you feeling less perky than you know the raw lifestyle should? in minutes with ingredients you can find anywhere! 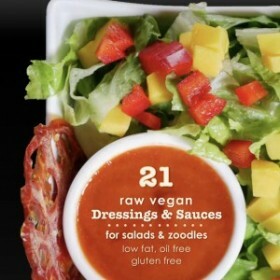 From the simplest most satisfying meals consisting of 1- 3 ingredients, to more “fancy dishes” you could easily serve at a gourmet raw restaurant! 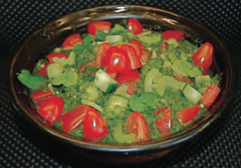 I have surprised many guests when they realized they were eating a simple raw recipe! With amazing dishes like these you will be too! 95 more amazing and simple recipes to discover!! 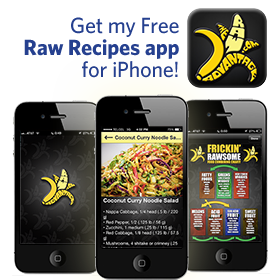 These recipes all utilize proper food combining for optimal digestion and absorption leaving you with the energized light feeling you would expect from our species specific diet. 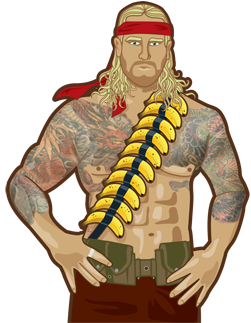 Don’t know about food combining? 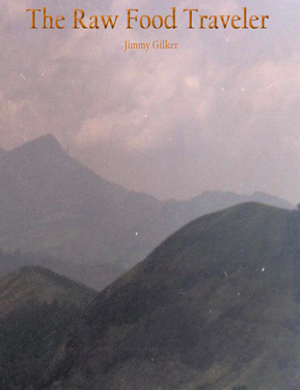 Entire books have been dedicated to food combining, or the chemistry of digestion. Here I bring you the easiest to understand key concepts along with 101 delicious examples of proper food combining to effortlessly hit the principals home! I haven’t had one sick day since! 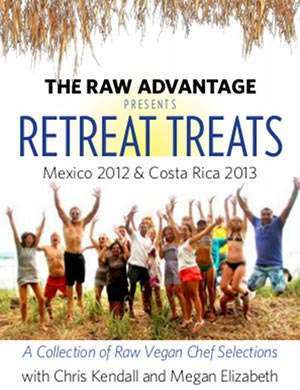 For over 7 years I have been reading every raw recipe book I can get my hands on. The vast majority of them are overly complicated, quite time consuming to make, high in fat, salt, spices, stimulants, and other irritants that lead you away from the boundless energy and glowing youthfulness that should accompany the Raw Lifestyle. 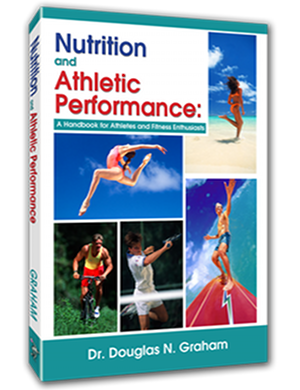 Motivated by this I felt the need to share the gems I eat day in and out with you and anyone seeking optimal health, boundless vitality, and peak physical fitness. “The Best of The Best”! Your sure to find many a new favorite! 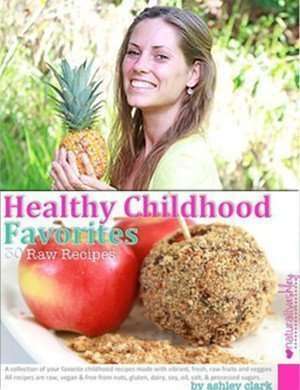 By finding a few favorite raw recipes you and your family your loves the enjoyment and ease in including more fresh ripe raw whole fruits and veggies in your improved or 100% raw lifestyle becomes not only easy but thoughtless. Did you know most people rotate 5- 7 staple recipes? Day in and out they eat these staples, we are creatures of habit! Ease in implementing lifestyle changes comes from replacing your old unhelpful habits with new ones that you love and enjoy, this makes committing to your improved lifestyle effortless. It only takes 20 – 30 days to implement a new habit! You may not belive it now but these simple recipes and their ability to awaken your finer senses, facilitate your body’s innate self healing, improve your vitality, straighten your priorities, and skyrocket your general sense of well being will catapult you to a place where you simply prefer the tastes, textures, and results gained from enjoying more fresh ripe raw fruits and vegetables. Too Often we put things off for another day, why wait? The best time is the “present” start gifting yourself with more love by actively creating a new healthier more vibrant you that you deserve today! You dang well deserve it! 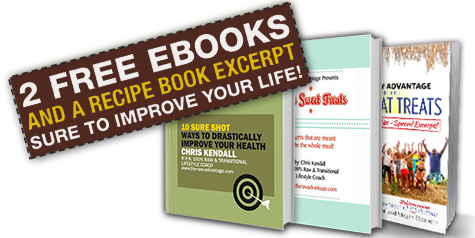 Enjoy this video launch for the ebook including a demo of 2 of the recipes! Dear Chris; I love your book! Thank you so much for all the bliss you share in your raw culinary creations! I LOVE raw noodles too! Your videos also have great humor and joy and are a blast to watch. Sending you TONS of LOVE and GRATITUDE for sharing all that you do! 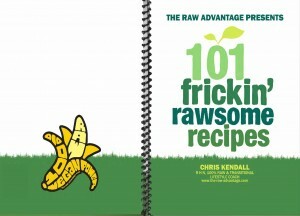 In the confusion of the high fat raw food movement I ran into Chris Kendall’s book “101 Frickn’ Rawsome Recipes”. Clearly explaining guidelines, objective measurement of calories and easy and (most importantly) delicious recipes that I could make quickly, with little effort or or pain to my wallet. This allowed me to take the notion of trying out raw seriously and so I went from practically 0% to 100% raw overnight. Starting out at 100-105 kg at 189 cm (very overweight) to quickly dropping 5-10 kg without doing anything consciously. After 6-9 months on the diet I was down at 85 kg (ideal weight according to BMI) and feeling amazing. A weight I hadn’t had since high school, a shirt size I haven’t had since puberty and an energy and well-being I haven’t ever had. 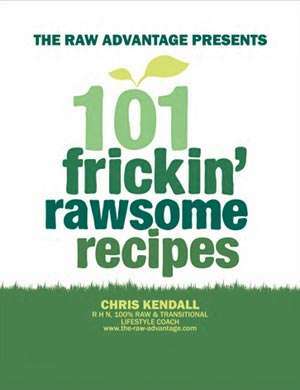 I just received Chris’ wonderful recipe book “101 Frickin Rawsome Recipes” last week and I have been loving it! 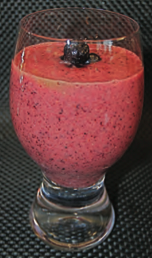 The recipes are simple, delicious, and properly combined for optimal digestion and maximum health! This book is a MUST HAVE for anyone on or moving towards the low fat raw vegan (LFRV) lifestyle. I have ranged from 70%-100% raw over the past 11 years, and this book has given me new ideas on how to combine foods in a way that will make it easy and enjoyable to stick with the LFRV lifestyle. Thank you Thank you Chris!!! I really didn’t think anyone had any new ideas I hadn’t already seen. WOO HOO! 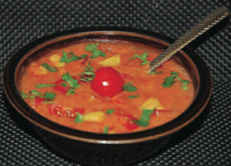 I just got your ebook on the weekend and tried the infamous pineapple pomegranate & kiwi soup…. Yummy!! I would never have thought of putting these flavors together 🙂 But you made it look sooo appetizing on YouTube I could not resist trying it! Just wanted to let you know that I just got the spiralizer today and have just made myself your Presto sun dried tomato pesto. VERY delicious! Recipes like this are great because they are extremely simple adding a savory aspect which is hard to find when eating a simple raw diet. I find these especially helpful when I find myself craving during my transition to 100% raw. I have already gone out and picked up more ingredients as I know this will become a regular dinner for me. This is definitely going to help me transition from 80 to 100% raw. She keeps saying ‘Oohhh.. I’m so glad he has so many recipes with bananas!’ hahah.. and she also says ‘This is so perfect for me!’. She read your bio and was very impressed by it. She said ‘he’s ONLY 30?! And he wrote this WHOLE BOOK? !” followed by ‘wooooww… ‘ hahah. Hope you are well as you spread your enthusiasm and knowledge on respecting our bodies and earth!